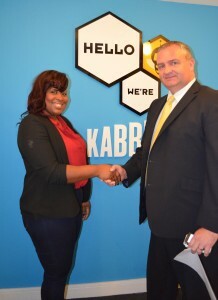 As part of Kabbee’s Stars of the Month initiative, which rewards 10 individual drivers based on feedback from users, a fleet and its controllers are also crowned as Stars of the Month, for receiving the most positive feedback from passengers that have booked via the Kabbee app. 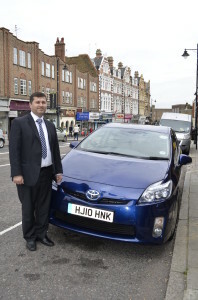 May’s ‘Stars of the Month’ winning fleet has been awarded to A1 Private Hire, based in South West London, including areas such as Wimbledon, Wandsworth and Putney. The fleet was awarded with £1000 based on the app’s rating system, which tracks punctuality, the driver, and the car they drive. 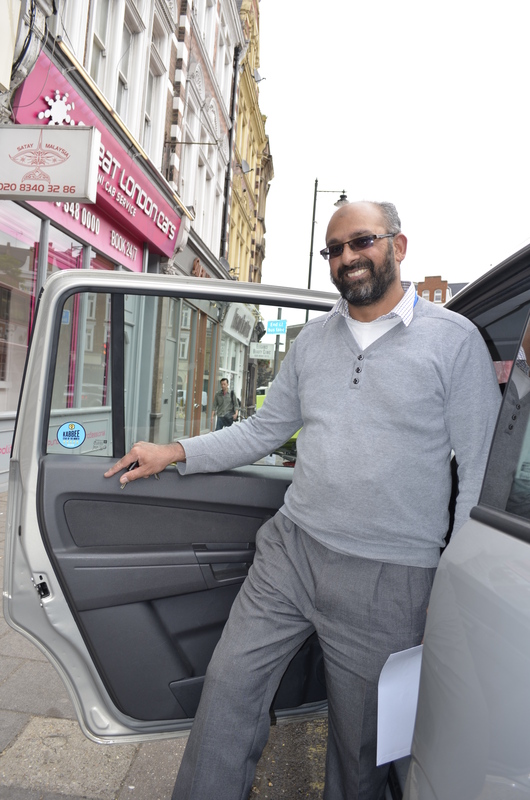 Fateh Doger, Owner of A1 Private Hire is delighted to win the award: “It is exciting for us to win Kabbee’s Stars of the Month award, and we’re pleased that our level of customer service and hard work as been recognised. 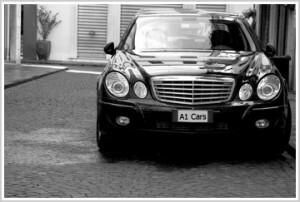 We ensure that we are keeping our standards high and offering the best service possible for our passengers. 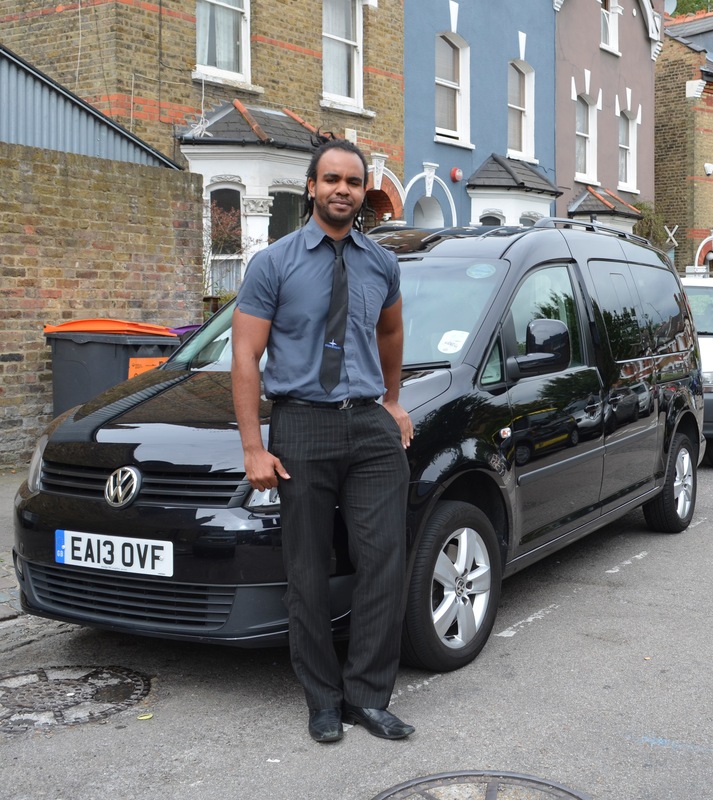 Our fleet is well-established in South West London, but it’s a privilege to be rewarded on a wider scale. 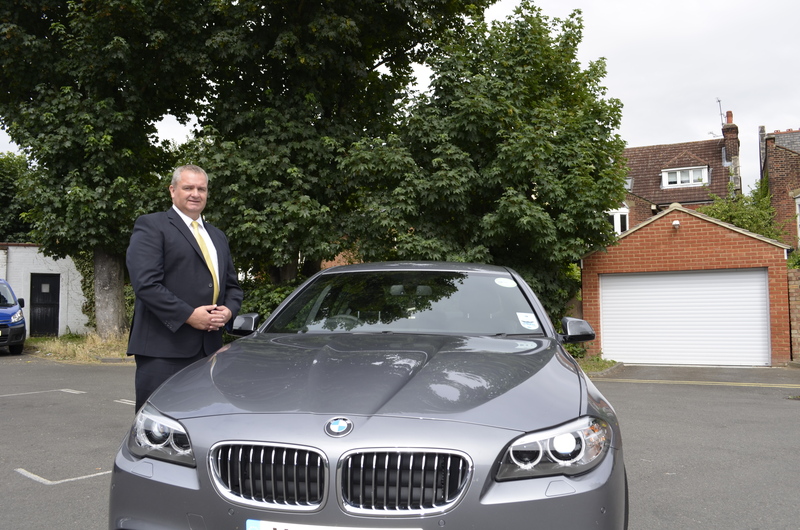 We are passionate about providing our passengers with only the best service, and we’re always looking for ways to improve it. This month, a handful of our special drivers have helped makes this possible. To reward our top 10 performing drivers, they visited the Kabbee offices today to receive their £200 prize – Kabbee’s way of saying ‘well done’. Q. What do you enjoy the most about driving? I like to explore new areas in the city – I use my motorbike to work out different routes, so that I can avoid traffic and dead mileage. Q. Which celebrity would you most like to pick up? I would love to drive The Queen out and about town. Q. 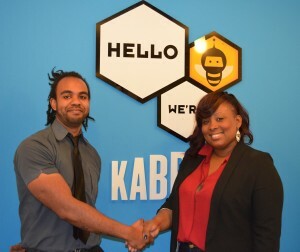 What do you like most about working with Kabbee? It’s great that they are rewarding drivers for their good service, and the number of jobs have increased a lot. Q. 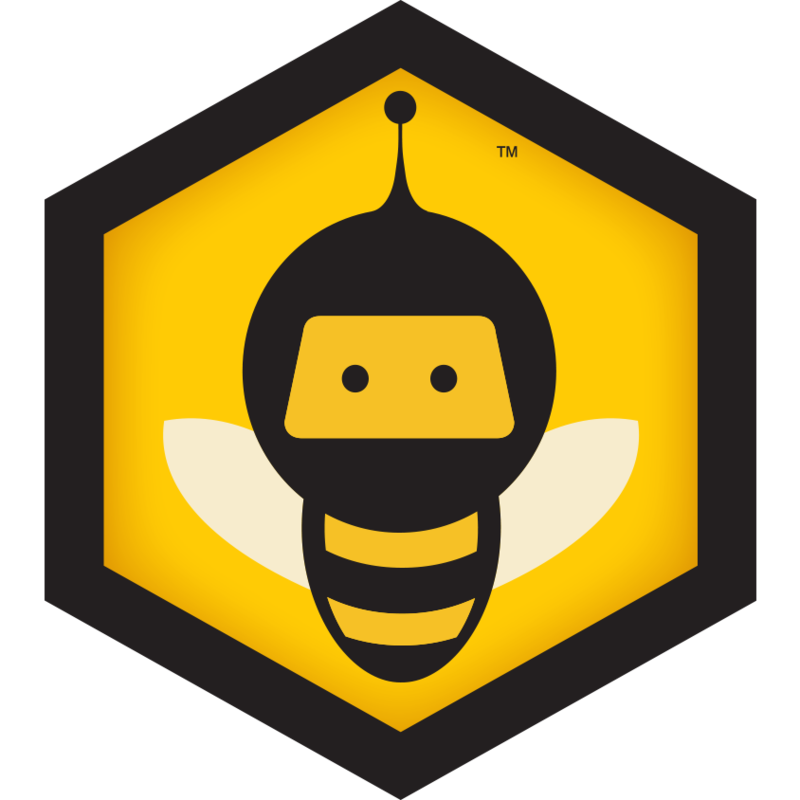 How does it feel to be one of Kabbee users’ favourite drivers? It was a complete surprise, I’m very happy. My fleet told me I had been assigned with a special job, and I turned up at Kabbee’s offices to be congratulated as a winner! Q. What do you like most about Kabbee passengers? I enjoy meeting new people, there’s always a variety of passengers from different places. Q. What do you enjoy doing when you’re not behind the wheel? I am a big cricket fan – that’s all I really watch on TV. I have five daughters, so they keep me busy. Q. What do you enjoy most about driving? 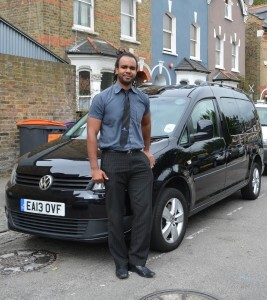 I meet new people everyday, and I have the opportunity to travel all around London. Q. What do you enjoy most about driving? I love the freedom to explore in London. 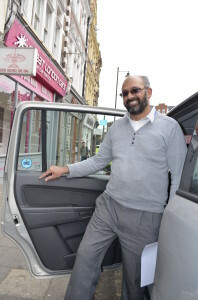 I didn’t realise how London’s roads are so well connected until I became a minicab driver. Q. What is your dream car? There are two cars I can see myself driving; as a chauffeur, it would be a Jaguar XJ, and for personal use; Ferrari 458. Q. What do you enjoy doing when you’re not behind the wheel? I am learning to play an Asian instrument called the Santon. It makes a beautiful sound. Q. What change would you like most to see on London’s roads? I would love there to be smoother roads – it would be so nice to drive without any humps or bumps. 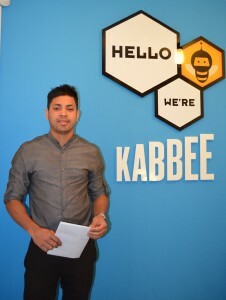 Next: Kabbee wins Best Startup App of UK Design award!